I want to make sure that a user working in a security-senstive network zone gets the appropriate proxy configured within the Internet Explorer. First we need to create a condition set for that. 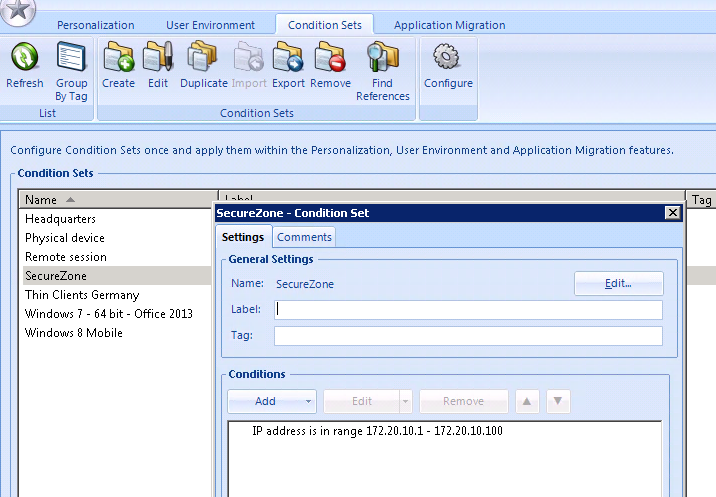 The condition security zone will be configured based on the IP address of the Virtual Desktop. Based on this condition set we are now going to define an environment variable within the User environment on this specific user. 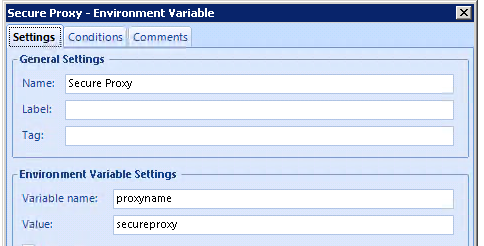 If a user comes from a Security Zone -> set the environment variable proxyname to secureproxy. 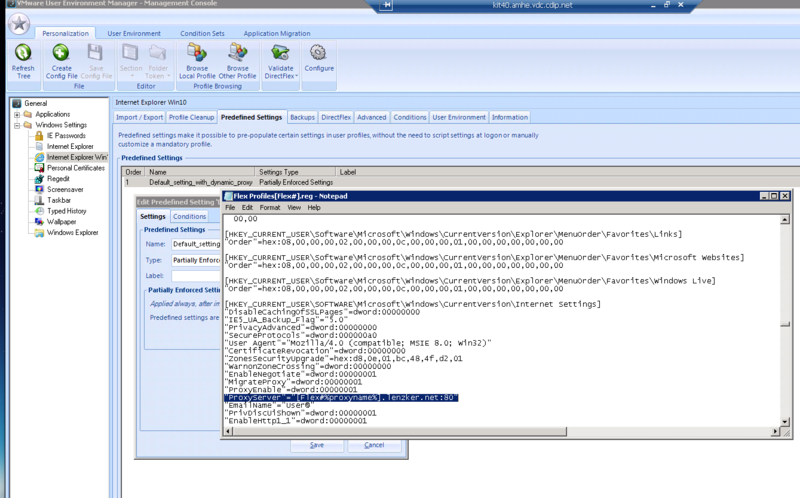 For the other users I created an environment variable with the default proxyname. 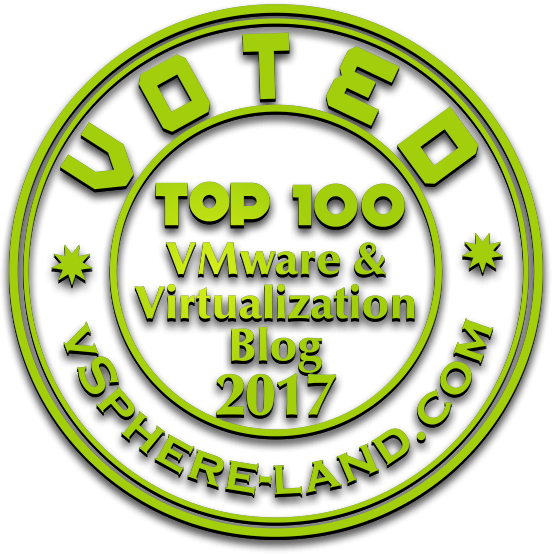 [Flex#%proxyname%].vlenzker.net (Remember: The value for proxyname has been created before in the User Environment). For sure it must be a hostname that is reachable from within the security-zone. Safe the settings and voila. 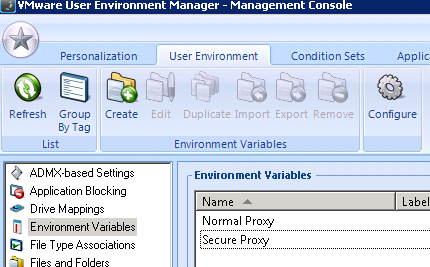 Once you logon into your Desktop you see the proxy-settings in your browser depending on the characteristics. For sure that is just an example, but I hope you see how easy (and without scripting) we can create context based environments in a very flexible way. You have other or better use-cases? Let me know in the comment section….